Build innovative sidebar and display it side-by-side on retail websites. Our goal is to save the problem of current coupon code websites that force users to click back-and-forth multiple tabs / windows to try out coupon codes. Clean and intuitive UI. 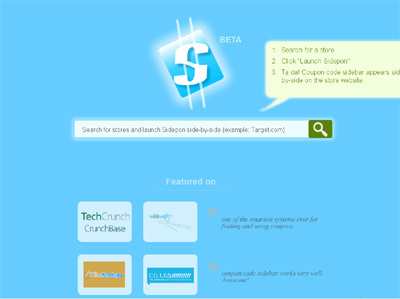 We are the first one to able to put coupon sidebar side-by-side on top 10,000 retail websites in the world.